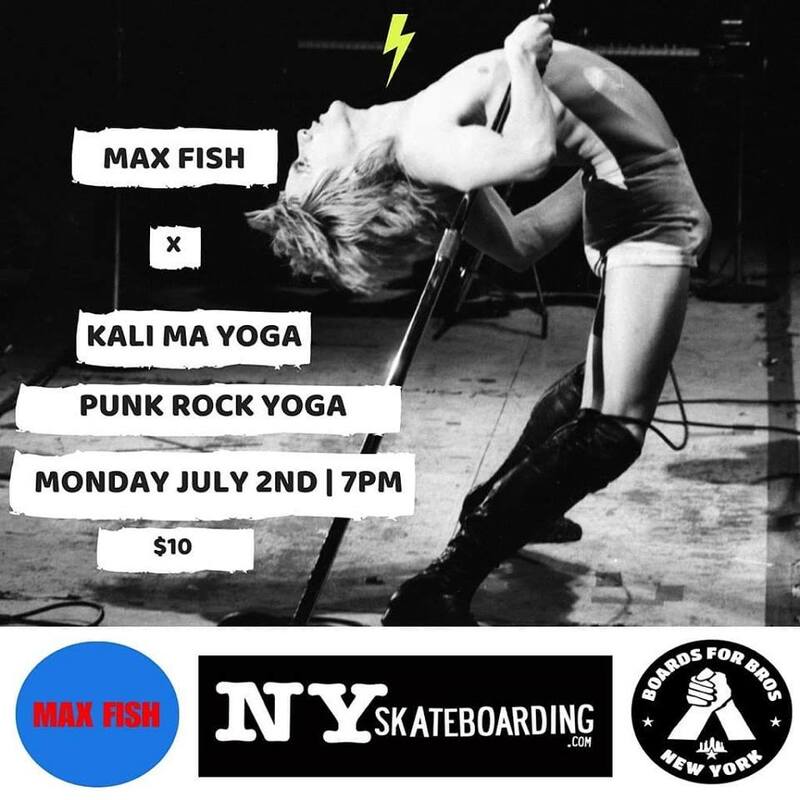 Kali Ma Yoga is bringing their Punk Rock Yoga to Max Fish in NYC! Join us on Monday July 2nd at 7pm in the lower level of Max Fish at 120 Orchard Street in Manhattan. The cost is $10pm and mats are limited so it is recommended you bring your own. We'll be sticking around for some drinks after!